Expanding the Papahanaumokuakea Monument is a smart, scientifically supported idea. the ideal marine protected area contains a high diversity of organisms and habitats, is large, remote, and has currents that bring creatures in and carry some of their offspring outward -- Papahanaumokuakea has all these characteristics. A larger size unquestionably matters, encompassing a great diversity of both life and and habitats and capturing increased numbers of drifting larvae, migratory fish and more. This safe haven allows fish to get bigger and older. When a female fish doubles in size, her egg prodcution can increase a thousandfold or more. 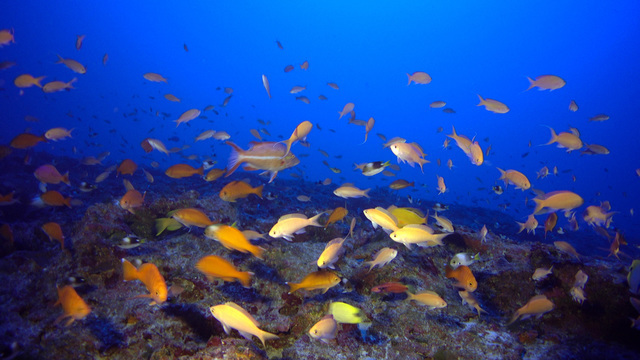 About 2 percent of the ocean has been set aside as fully protected marine reserves, far below the 30 percent believed necessary to ensure fish for future generations. A larger monument means more resource capital in our children's bank accounts from which they can draw the interest sustainably. As a native Hawaiian, I assure you the ocean region beyond Papahanaumokuakea Marine National Monument retains devout cultural significance for Hawaii ("Native Hawaiian leaders seek expanded marine monument," Star-Advertiser, April 17). Our ancestors saw the entire archipelago and the vast ocean surrounding it as the framework for our cosmology, and it is accounted for in our oral traditions. We believe that after passing on, our ancestors return to Po, or the realm of darkness, the region extending beyond the main Hawaiian islands and the limits of the sun's northern advance, beginning at the Tropic of Cancer. The expansion of protection aligns with the traditional custom to prohibit human presence to minimize the impacts to limited natural resources. It is imperative that we protect native species found within this ocean region that are inextricably connected to the integrity of our culture. This expansion will have long lasting benefits to our island heritage and the local and global health of our oceans.